This Sunday in Croke Park the Galway senior hurlers will line up at 3.30pm for their chance to add to the hurling annals, under the watchful eye of referee Fergal Horgan from Tipperary. Most of Mícheál Donoghue's squad were not even born when Galway last brought the Liam McCarthy west in 1988. They know that to emulate men such as Conor Hayes and company, they must produce 70 plus minutes of top-class hurling to turn their dream to reality. Waterford are not travelling to Dublin to make up the numbers. Derek McGrath's Waterford is a formidable opposition, boasting some superb hurlers in their ranks. They also have their much-vaunted sweeper Tadhg de Búrca back from suspension, and it will be interesting to see Galway's scoring tactics when it is seven backs on six forwards up front. Galway have faced the sweeper system already this year - in the Offaly (scoring 0-33 ) and Wexford (scoring 0-29 ) games, but the sophistication of Waterford's sweeper system is far superior and much more practiced than what Galway has come up against heretofore. Team manager Micheál Donoghue is under no illusions about the quality of the opposition his charges face. “Waterford have been one of the most consistent teams in the country over the last couple of years. They were probably unfortunate last year not to progress to the All-Ireland final, and they were in the semi-final in 2015 too. We are under no doubt that we’re playing against a team that has huge experience. "We saw that in their win over Cork. They played a very measured game. Up to maybe around the 58th minute, it was still nip and tuck. When the game was there to be won, they really pushed on, took a stranglehold on it, and ran out emphatic winners." In Kevin Moran and Jamie Barron at midfield, and Austin Gleeson, Michael ‘Brick’ Walsh, Noel Connors and Darragh Fives, they have some serious players. How Galway captain David Burke and Johnny Coen cope with Moran and the hugely mobile and high scoring Barron around the middle should have a serious impact on which county is victorious. The fact that serial winners Kilkenny, Tipperary and Cork are not in this year's final has added much to the occasion. It is a final which will have fresh champions with a massive gap since either county won the last time. Waterford last won in 1959 and Galway in 1988. Hence the neutral will be thrilled with the spectacle of hurling and the novelty of the final. 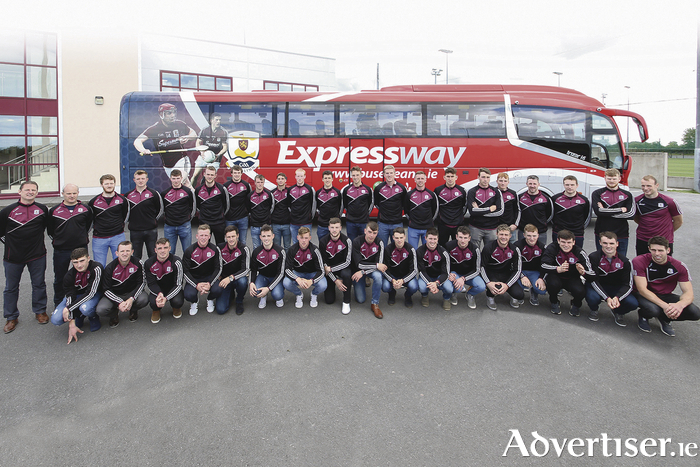 The Galway team was not announced at the time of going to print, but there are unlikely to be many, if any, changes from the team that beat Tipperary by a single point on August 6. Wing-back Pádraig Mannion, who has been in splendid form all season, is looking forward to the final, but he and his teammates will be focusing totally on their hurling and getting back to basics. "Things have changed a lot in the last 30 years since Galway last won a senior title, but the principles have stayed the same. Embrace the big occasion and let your hurling do the talking. Work hard to get the better of your man all the time. You can always go back to the roots of the game and they are the same. The basics don't change." Mannion believes Galway will need to improve on their semi-final display if they are going to follow team captain David Burke up the steps of the Hogan Stand. "There are lots of things we can improve on from the last day. From the outside people might think it was a very good performance [against Tipp], but we know there are things we will need to be better at on Sunday. "We will take a lot of confidence from the semi-final and how we finished it out. We showed a lot of composure and we will take confidence from that. However, we know we will need a top-class display to beat Waterford, and they will pose different challenges for us than Tipp did. "Two years ago in the final we were doing OK, but we did not close things out. Our composure has improved hopefully and that should be a help on Sunday. You have to keep playing for the 73 or 74 or 75 minutes that it takes to get the job done. "This year we have a really balanced team, and on Sunday we will need a massive team performance. We are trying for a perfect performance, or as close to that as we can get, and if we get that we will be very happy." Hurling has become a 20-man game, and Waterford regularly bring on a few impact subs to try to turn the game their way. McGrath will ask his two starting inside-forwards – most likely Jake Dillon and Shane Bennett – to run themselves into the ground before replacing them with possibly Maurice Shanahan and Brian O’Halloran, who have made decisive contributions from the bench all season. The Galway defence will be expecting those moves and will have prepared for it. If Galway need impact subs, they will probably utilise guys such as big Johnny Glynn, Jason Flynn, Shane Moloney, Thomas Monaghan or Seán Loftus, who have all seen action from the bench in the past few games. Flynn started the games against Dublin, Offaly and Wexford and came on against Tipp. Galway are firm favourites with the bookies at 1/2, whereas the Déise are 9/4 with the draw priced up at 10/1. If Conor Whelan, Joe Canning, Conor Cooney and Joseph Cooney up front for Galway can produce big displays next Sunday, and Coen and Burke hold their own in the engine room, then Galway should have the scoring power to get past the Waterford rearguard. It is 29 years since Galway last tasted All-Ireland senior success and twice that - 58 years - since Waterford did. One squad of players will be ecstatic and their supporters will be dancing a jig by 5pm on Sunday afternoon. Let us hope they will be wearing maroon.